Introducing a rather impromptu blog makeover! For yonks now I've been semi-playfully getting at Charlotte for not using her brilliant design skills to help me upgrade my blog. I may have made another snide comment earlier this week after she helped a friend with some design work, so yesterday she totally surprised me with this revamp. She spent an entire day working on a test site (while recovering from surgery no less), designing, formatting and doing clever things with code to iron out the many blogger bugs and glitches. We think we got all of them and it should be optimised for mobile, iPad and laptop/desktop users, but please do shout out if you experience any issues. I now have a carousel on the homepage with four subsequent blog posts listed below that. On the carousel you need to click on the title to go through to the full post, but on any other post clicking either the title or image will work. My navigation bar has moved to the very top of the page with an in-built search function and it's repeated in the footer too so you can always find what you're looking for. 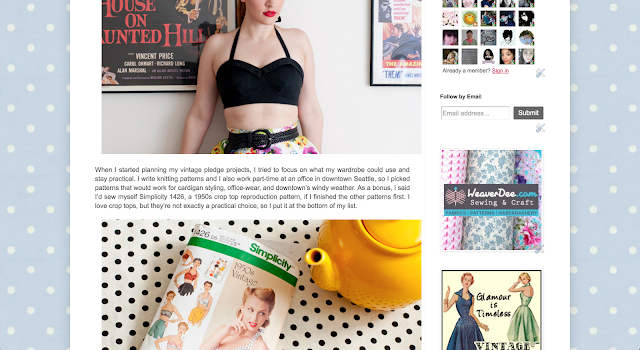 My blog archive has moved to the footer too along with a snapshot of my Instagram feed. Also, I now finally have social media buttons so we can easily connect elsewhere! Although I've streamlined my sidebar a little, sponsors still have a prominent spot, as do all the community initiatives I'm involved with. 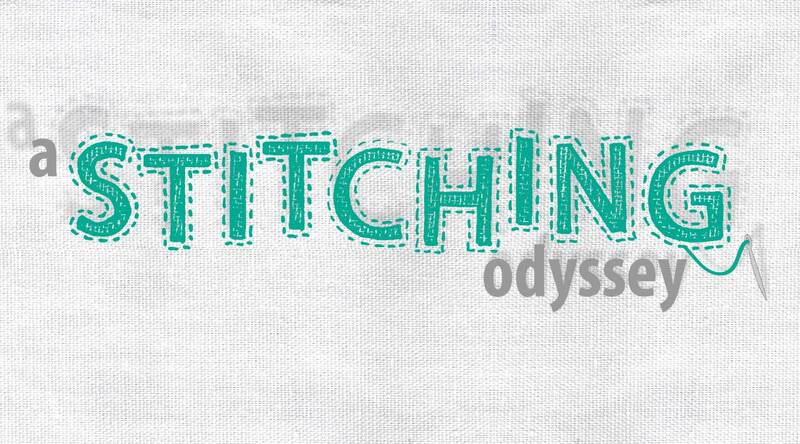 It was hard letting go of the old design so suddenly, especially my vintage lady header, which was un-elegantly cobbled together by yours truly back in the day! But I have been wanting a more streamlined and modern-looking blog for a while and that's exactly what Charlotte gave me. Don't worry though because vintage is still at the heart of my aesthetic, so despite the new look of this blog, the content will remain pretty much identical! Anyway, we'd love to hear what you think! Do you like what Charlotte's done with the place? All constructive feedback is very welcome! ooh pretty! well done charlotte! It looks great. I'd love someone to upgrade my blogger.com dependent site. Love it. I'm a big fan of carousel galleries and just added one to my homepage recently. The fixed navigation bar is great too. Nice work, Charlotte! This looks beautiful! Well done, Charlotte!! Everything looks awesome! I'm in the midst of a blog update and I appreciate seeing your changes. And...I'm glad you've devoted a post to the update. 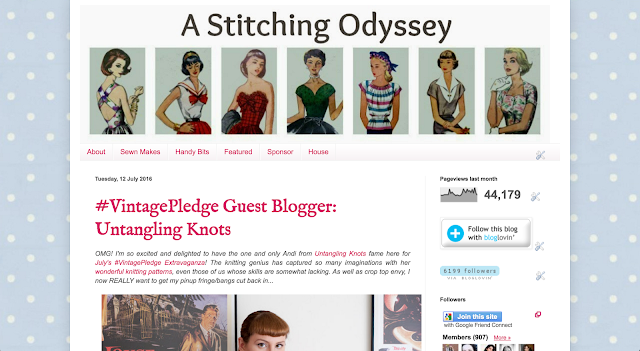 I follow on bloglovin' which brings me to your individual post, but not the home page. It was fun popping back and checking out how great everything looks there too! It looks great! Charlotte did a really good job - it looks very clean and modern. I miss your blog roll. Me too! Now I'll have to search all the blogs myself, I guess! But the redo looks very nice. iPad format looks lovely; thanks, Charlotte! Surgery, is Charlotte okay? I hope so! She has done an amazing job! 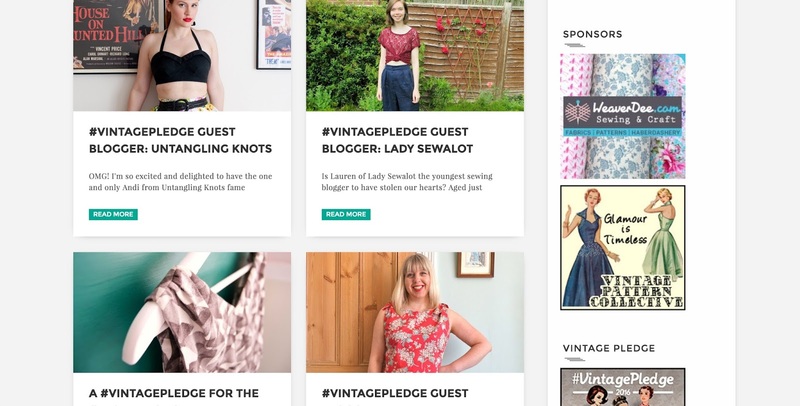 I absolutely love it - whilst I can understand your sadness in saying goodbye to your vintage ladies, this site seems to reflect who you are now. Does that even make sense?! Anyway, it's fabulous!! Please pass on my compliments to Charlotte, her redesign on your blog is just spot on. It feels so fresh and clean and modern and allows your content to absolutely shine. I particularly like the black menu bar at the top that follows me down as a scroll, big big fan of that, it allows for much more interaction while I'm reading or if I'm finished reading. As a web designer, I think the change is great! The new look is slick and very clean looking. It also makes it look less like just a generic blogger site. Very nice update and kudos to Charlotte for doing such a good job.